Grace in LA is all about Americana, creativity, and a huge amount of bling that makes their denim collection a work of art. 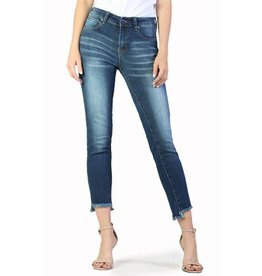 Using innovative embelishments, vintage motifs, and modern washes gives the jeans way cool detail, from bootcut to straight leg and stiletto skinny, they marry intricate embroidered, beaded, and metallic pocket accents inspired by the carefree southern California lifestyle. Learn more about Grace in LA on their website here. 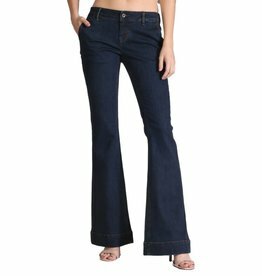 Grace in LA's EN jeans features beautiful whiskering details as well as an on-trend fringe style high-low cuff in a slight cropped fit.